With recent media reports about a potential rabbit plague as a result of the wet weather over the past 6 months, ArchivesACT coincidentally came upon the 1945 file 'A3106/269 – Advisory Council – Rabbit Destruction: Rural Leases'. Rabbits were introduced to Australia by early settlers who released them onto their properties throughout the 1800s. This was done for the purpose of hunting and food. By 1890 they had reached plague proportions due to a lack of predators so measures were introduced to reduce their numbers. 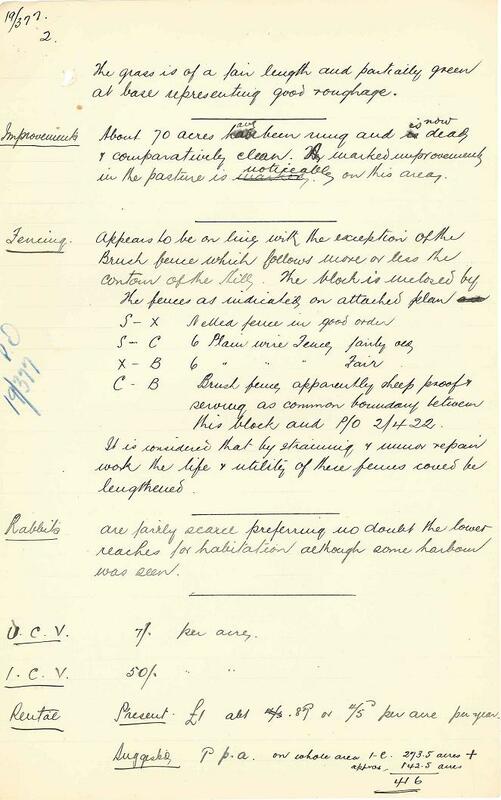 It is also common to find mention of rabbit numbers within inspection reports of rural properties, for example in this folio from the file 'TL2747 - Block 18 Booth - J. Oldfield'.